SYNOPSIS: Here's sort of a western take on the Zatoichi character. 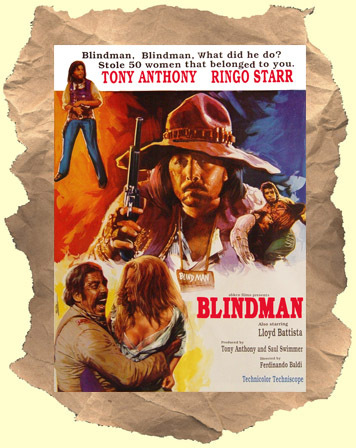 This time it's blind gunslinger Tony Anthony who tangles with a batch of unshaven Italians led by Ringo Starr (sporting an accent) who is quite good as the main villain. Anthony simply wants back his stable of prostitutes that were stolen from him. An entertaining western entry in WIDESCREEN.